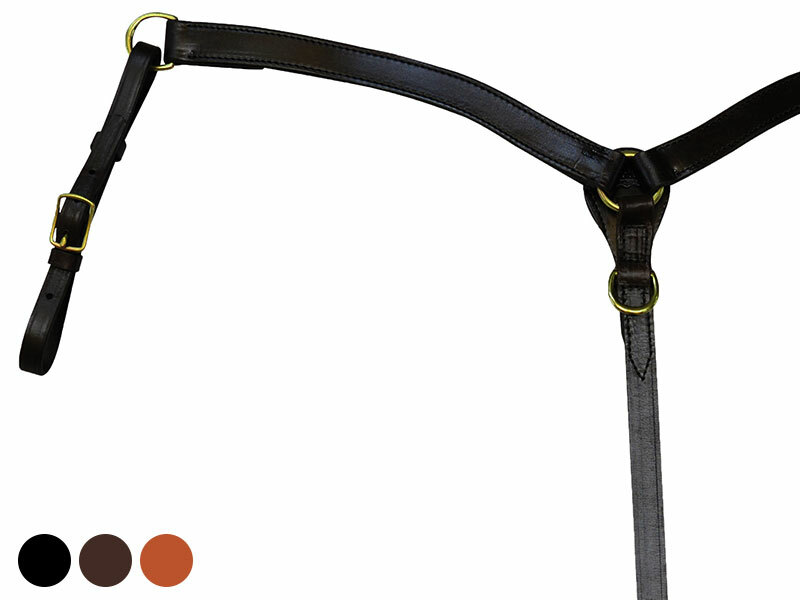 Made in the same fine leathers as our other quality breast straps, this new design is contoured to the horse's shoulders. Black, brown, or Golden. Brass or chrome hardware. Horse size. Shoulder to center 26", Center to attachment strap 16", Center to girth 23".